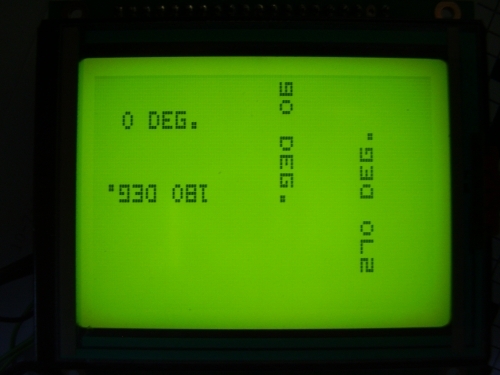 We know the Bascom font files from the graphic display with a KS108 controller. These controllers don’t have a build in font set, so Bascom creates the font by software and writes the letters pixel by pixel on the screen. We can create or modifier those fonts with the Font generator that’s build in Bascom. With this we have a limited flexibility . 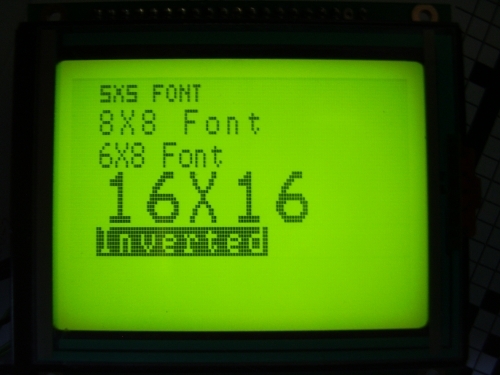 The displays with a T6963 have build in font generator for the size 6×8 or 8×8. Custom fonts like the Euro sign or Greek letters is not (easy) to implement, larger or smaller fonts are also not possible with the build in fonts. But now we have a routine that’s using the Bascom font files and can be used with all the graphics display supported by Bascom. You can create your own font (share it with us please) or use one of the font’s supplied with Bascom. 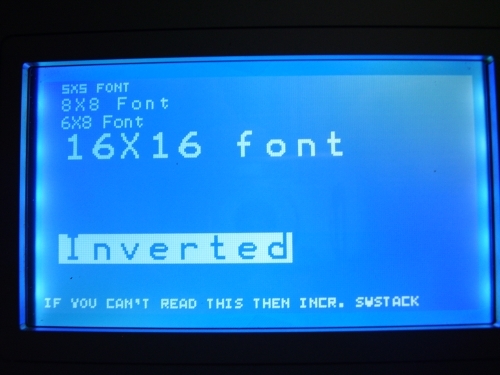 All of the font’s can be inverted and/or rotated in 4 directions. 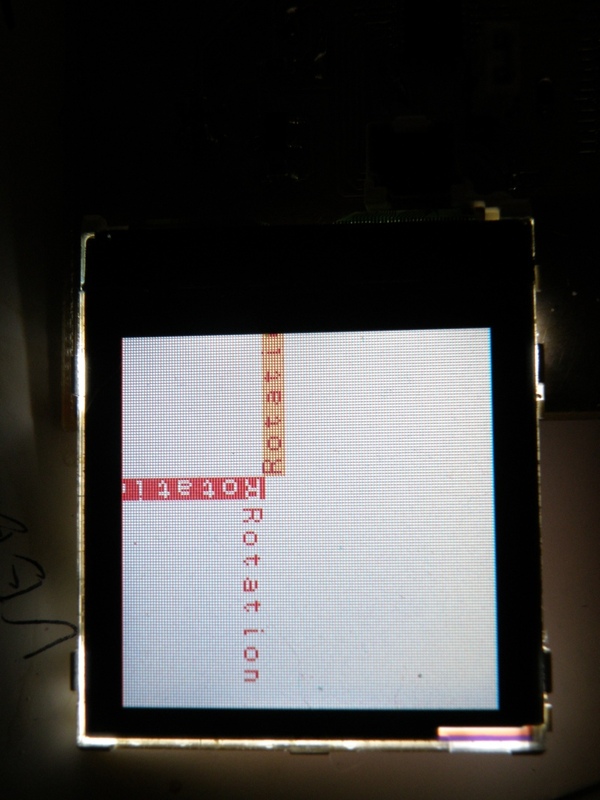 With the Bascom Locate statement it was not possible to place the text anywhere on the screen. Locate uses an 8×8 matrix to place the text. This routine uses a 1×1 matrix, so you can place the text precise under you graphic image etc. x Constant or variable with x position. y Constant or variable with y position. 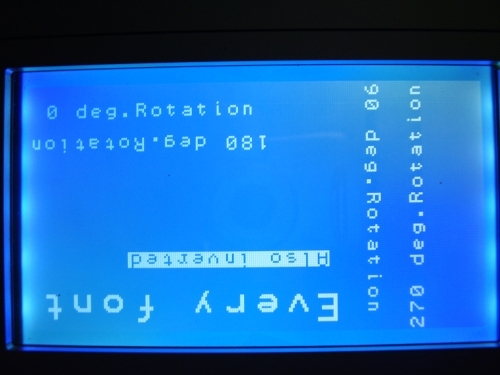 Rotation 0= Normal , 1=90 deg. 2=180 deg. 3=240 deg. Sorry, but there was no better solution. These are the name’s that you gave to the font, NOT the filename if you don’t know the font name, open the font file in the font editor, and there it is, right on top. Don’t forget to $Include your font files at the end of the program. Here are some sample’s created with the demo program. Note : Due a bug in Bascom 1.11.8.8 it’s not possible to use fonts 32×32 or bigger. Color version is now also available. 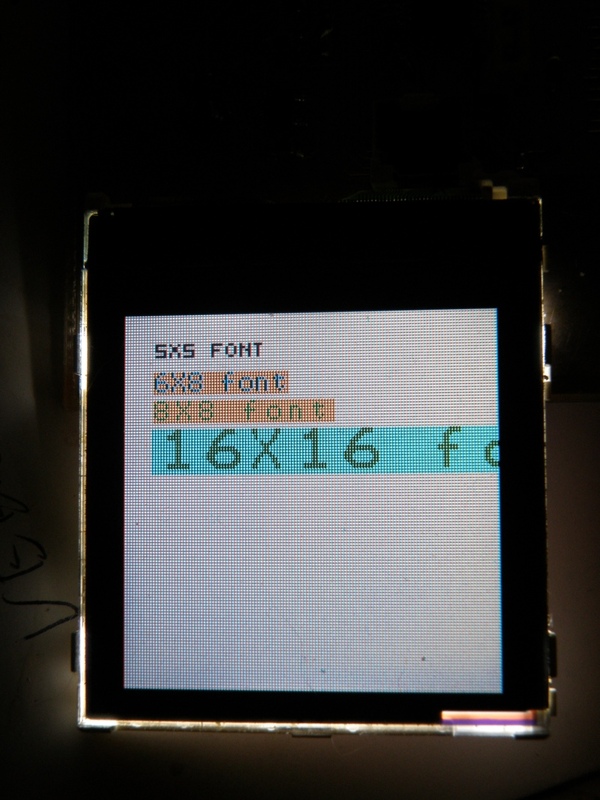 Designed it for the popular Nokia 6100 displays, but it should work on every colordisplay supported by bascom. Got mail from Mladen Bruck how lifes in Mostar, Bosnia and Herzegowine. He optimized the graphicfont code and it should works now 10-15% faster. Thanks for your contribution Mladen !
' include inverted and/or rotated text. If Fontset = 4 Then Restore Font5x5                        'right on top. Row = Row * 8                                               'Row is always 8 pixels high = 1 byte, so working with row in steps of 8. $include "Font6x8.font"                       'these are flash memory eaters.